The 1966 self-titled debut by The Young Rascals is made mostly of cover songs. However, this in no way implies that the album is unoriginal as the quartet’s original blend of rock and soul brands each song with a distinctive quality. 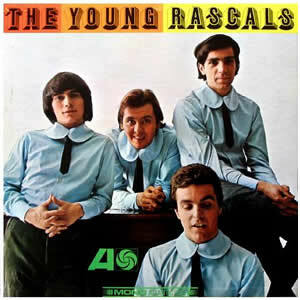 In total, The Young Rascals expertly captures the sound of this fun and energetic new band with an advanced talent for escalating the emerging sound of mid sixties music. 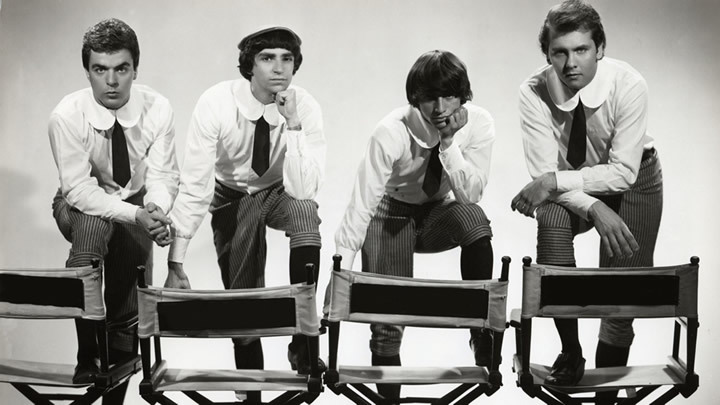 The Young Rascals were formed in Garfield, New Jersey in early 1965. Keyboardist/vocalist Felix Cavaliere and vocalist Eddie Brigati, who were previously members of Joey Dee and the Starliters and, with the addition of guitarist Gene Cornish and drummer Dino Danelli, the band originally chose the name “The Rascals” (a name they would eventually adopt in later years). However, upon signing with Atlantic Records, discovered that it clashed with another group called “Harmonica Rascals”. Just months after their formation, the group recorded and released their first single “I Ain’t Gonna Eat Out My Heart Anymore”, co-written by lyricist Pam Sawyer and singer Laurie Burton. This fun and unique folk track with much range musically from the rich, Phil Spector-like vocal arrangements to the quasi-psychedelic guitar lead. The single and the group’s subsequent national television appearance set the stage for the recording of the group’s debut album. The B-side of The Young Rascal’s lead single, “Slow Down” starts the album as an upbeat and fun jam with plenty of choppy rock elements in this Larry Williams composition from the late 1950s. “Baby Let’s Wait” is another song by Sawyer and Burton written for the group as a long drum roll by Danelli introduces this emotional, R&B-inspired ballad. On the cover “Just a Little”, the bass and acoustic guitar takes the musical forefront on a track which has a Latin overall feel which meshes well with the smooth lead vocals and rich harmonies. “I Believe” features the most soulful feel yet, highlighted by the very dramatic performance vocally by Brigati and the Hammond organ by Cavaliere. The first and only track written by members of the band, “Do You Feel It” is a dance-oriented, call and response sixties rocker which acts as a good warm up for the album’s climatic centerpiece, “Good Lovin'”. Written by Arthur Resnick and Rudy Clark, this crisp, short and direct rock jam with just enough input by all group members to balance it at just the right level sonically. Highlighting it all is Cavaliere’s distinct, melodic organ solo which soars to a rare level that establishes the song as an all time classic. Much of the rest of side two is comprised of covers of well-known contemporary songs. There is an apt cover of Bob Dylan’s “Like a Rolling Stone”, which sticks pretty close to the original from Highway 61 Revisited and works fine save for the over-the-top harmonized chorus sections and other minor parts where the group tries to be fancy. Next, The Young Rascals play an almost ridiculously slow version of “Mustang Sally”, with a sloshy rock n’ soul groove and vocals which are legitimately soulful throughout. The closer “In the Midnight Hour” is an almost direct copy of Wilson Pickett’s original, which is a pretty impressive feat in itself. The Young Rascals reached the Top 20 on the album charts and sold well in the U.S. The group had continued success in subsequent years as Brigati and Cavaliere began composing original songs which would establish them as one of the top acts of the late 1960s.